Boston-based Ze-gen Inc. is using material—such as non-recyclable plastic and carpet fiber that would typically end up in landfills—as feedstock in its liquid metal gasification technology and is now successfully producing high quality syngas. The raw material used in the Ze-gen process is mostly biomass material and is processed to very specific quality standards by the company's suppliers. The company then blends the material in accordance with its proprietary formula. Many success stories in alternative energy have resulted from finding value in waste streams or turning a challenge on its head to reveal an opportunity. The development of liquid metal gasification technology by Boston-based Ze-gen Inc. is a prime example of that. Syngas has long been known as an unwanted byproduct in ore purification processes like steel production. Ze-gen investigated what caused the production of syngas and how it could be enhanced instead of diminished. The company discovered that liquid metal could be used as a catalyst to manufacture high volumes of energy-rich syngas from material typically discarded in landfills. Although there are many well developed and proven gasification and pyrolysis processes already in existence, Ze-gen seems to have found its own niche in the liquid metal gasification realm. The production of syngas when organic impurities come into contact with molten liquid metal has been an ongoing challenge for metal purifiers for centuries. The unwanted gas is typically flared. In other words, the company has developed a process where adding a specific recipe of both inorganic and organic waste products to a liquid copper bath, in the range of about 2300 degrees Fahrenheit, produces an energy-rich syngas stream. The company chose liquid copper as the catalyst because Davis says it is somewhat forgiving. It can be easily converted from a solid to a liquid and back to a solid, which is not easily accomplished with other metals like iron, and it has a low melting point. “We like the combination between the melting point of copper and the flexibility to manipulate the pre-conditions of the metal,” says Davis. Ze-gen’s method can be broken down into three steps. These are feed and material handling, liquid metal gasification, and gas cleanup and conditioning. The raw material used in the Ze-gen process is mostly biomass material, non-recyclable plastic and carpet fibre that would typically end up in landfills. When processed to very specific quality standards by the company’s suppliers, gasification of these materials can deliver a high quality syngas. He adds that the technology will work with a variety of feedstocks, but for the time being, Ze-gen is focusing on those that will most easily lead to commercialization. Natural gas, propane, or electricity can be used initially to melt the copper metal. 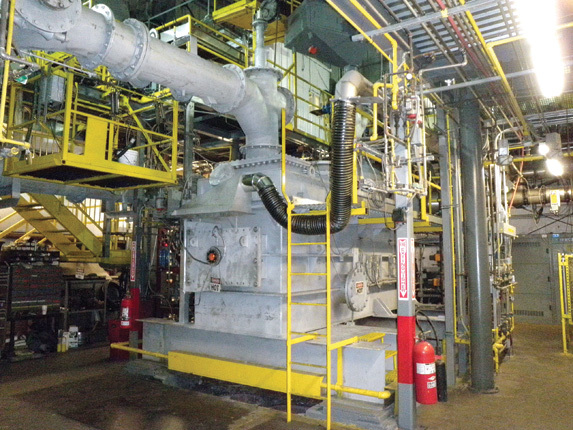 After initial start-up, limited external energy input is required to keep the metal in a molten state, because once the feedstock is added, the gasification reactions within the chamber provide much of the ongoing heat requirement of the process. 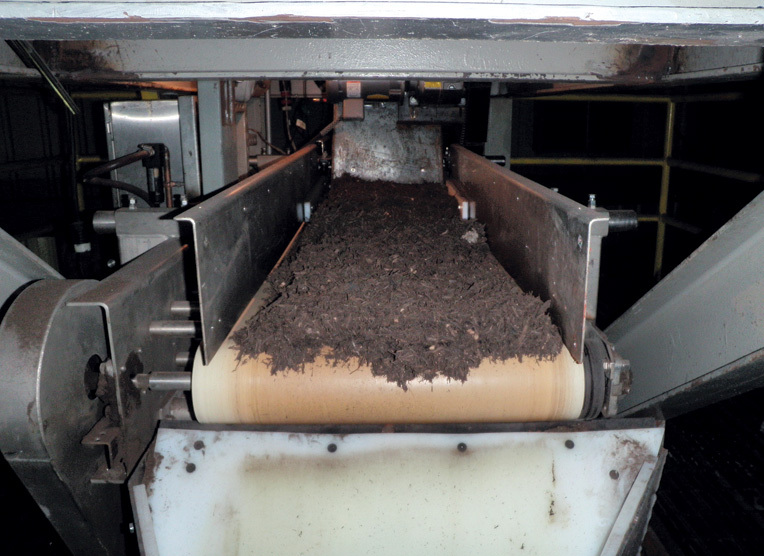 The internal temperature increases rapidly once the waste material comes into contact with the liquid bath, resulting in an energy efficient process. Oxygen is also added as part of the conversion process, depending on the feedstock being used. Prior to investing in the development of this gasification process, Ze-gen took a close look at existing gasification technologies and the challenges that each faced. They discovered that what had been developed to date were either low temperature or high temperature gasifiers. The problem with low temperature gasification is the formation of tar in the syngas. The problem with high temperature gasification is the high energy costs associated with producing the syngas. Ze-gen has developed a process where adding a specific recipe of both inorganic and organic waste products to a liquid copper bath, in the range of about 2300 degrees Fahrenheit, produces an energy-rich syngas stream. Ze-gen proposes to use its syngas to produce renewable heat and electricity in the 5 to 20 MW range. Its gasification and power plants could be attached to individual plants or clusters of industries to reduce or eliminate their dependence on natural gas or liquid fuel oil to generate power. Davis says that the cost of using the syngas would be comparable to natural gas at today’s low prices, but would still be less than half the cost of heating oil. That’s based on the company’s findings from its demonstration plant at New Bedford Waste Services in New Bedford, Massachusetts, which it established in 2007. It has been able to achieve 90 percent carbon monoxide and hydrogen concentrations in the syngas, which is well above its initial 70 percent targets. The company also estimates that this facility has been able to convert about 300 lbs of feedstock per hour into approximately 1.66 MMBtus per hour of syngas. Ze-gen is now at the stage of proving that the process can deliver high quality syngas on a consistent basis. The process produces slag and air emissions as byproducts. The small amount of slag being produced can be used as aggregate for roadways. Ze-gen is not only interested in proving its technology, it has also spent considerable time planning how to roll out the technology in such a way that it provides an economic benefit to the company and to its customers. Therefore, in the short term, Ze-gen plans to build, own, and operate all its commercial facilities, earning income from providing heat and power as well as from tipping fees by disposing of waste that would normally go to the landfill. actually approached by a group of business owners from the industrial park that were eager to work with the company to establish its first commercial operation. He adds that managing the economics of commercialization is a very important consideration that will require “some surgical approaches to development” simply to be able to compete with the price of natural gas. In addition to being able to provide a complete gasification and heat/power generation package, Davis says there could be situations in the future where a company already has a boiler and Ze-gen would simply provide the fuel to create steam for power generation or as part of an industrial process. Longer term, Ze-gen plans to license the use of its liquid metal gasification technology as well as continue to operate its own gasifiers. It also sees potential opportunities in the sale of hydrogen and potential use of syngas by downstream developers of liquid biofuels.